French wind turbine sector shifts up a gear. The incoming French minister of Ecology, sustainable development and energy, Ségolène Royal, has announced the results of the second round government tender. 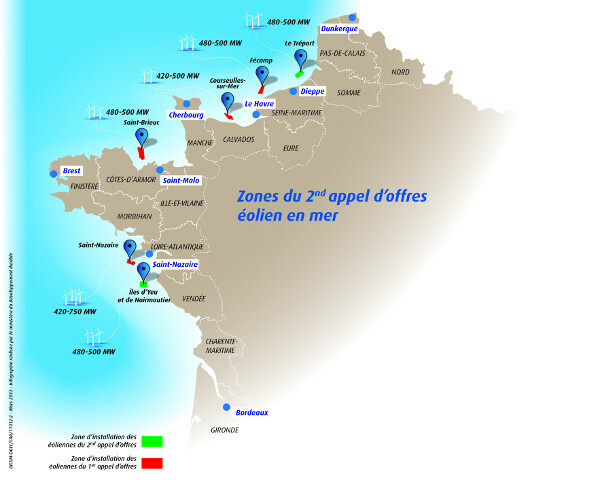 The offshore wind farms off Deux Îles and at Tréport will be built by a consortium led by GDF Suez. 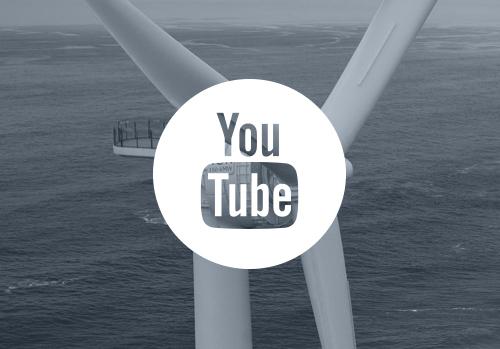 EDF Énergies nouvelles and Alstom were the big winners in the first round tender for offshore wind. This time, the consortium managed by GDF Suez has won the double. 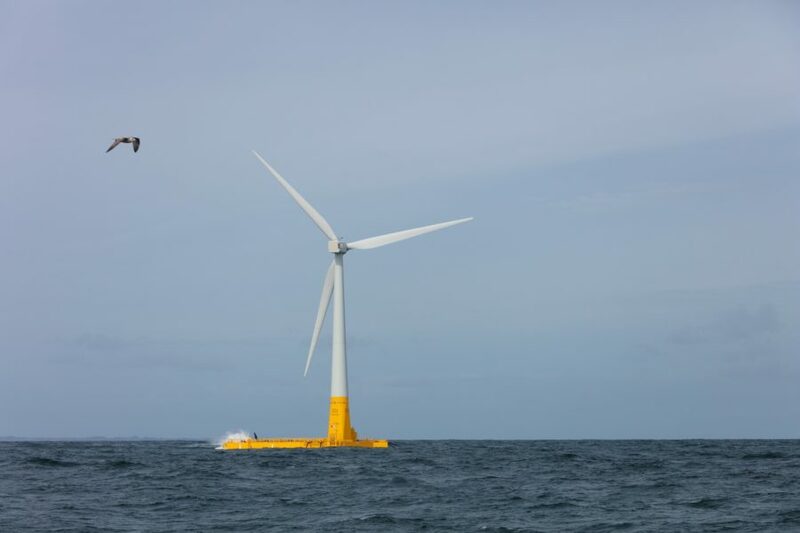 Both the offshore wind farms at Tréport (in Normandy’s Seine-Maritime department) and off the coast of Vendée at the Île d’Yeu and Noirmoutier (“Deux Îles”) will be built by GDF Suez, in association with its partners Areva, Neoen (a marine energy expert) and the Portuguese company EDPR. 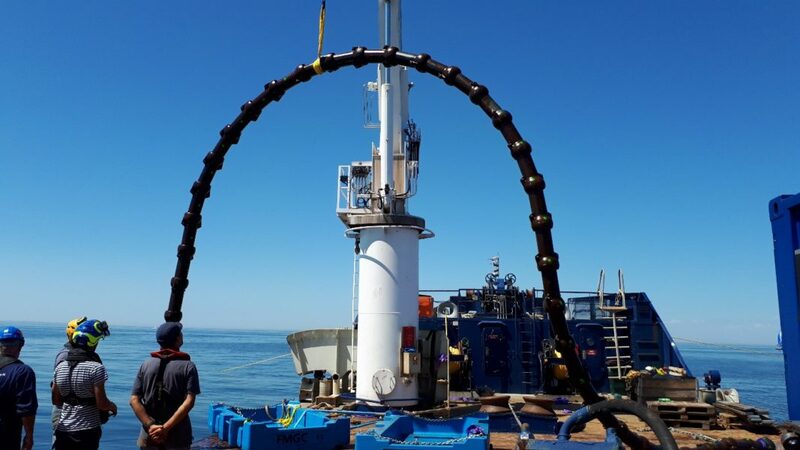 This new evidence of the national commitment to the marine renewables sector is good news for the Pays de la Loire, according to the President of the Region, Jacques Auxiette. Naturally we hope that this victory for one side will not be considered a defeat by the other, and we certainly wouldn’t like to see any weakening of Alstom’s commitment to the region,” said M. Auxiette. After the results of the first round tender, Alstom recognized the potential of the Pays de la Loire, choosing to site two turbine factories in Saint-Nazaire, and its only French engineering research centre for the marine renewable energies in Nantes.